The year 2005 uncorks the Filippi family's 83rd Anniversary and finds brothers Joseph 'J.P.' and Gino farming 80+ acres of old vines - Zinfandel, Grenache, Mourvedre, Alicante - and 1996 plantings of Cabernet Franc, Cabernet Sauvignon, Merlot, Syrah, Grenache Noir, Petite Sirah and Tannat in the historic Cucamonga Valley. Handcrafted Joseph Filippi wines are the result of a craftsmanship derived from Italian tradition, passion, and artistry. 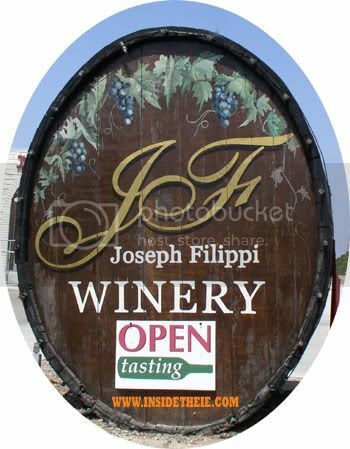 The J. Filippi Winery has won over 100 awards for winemaking excellence in the past 30 years. The Temecula Valley Balloon and Wine Festival is held each year in early June at Lake Skinner.